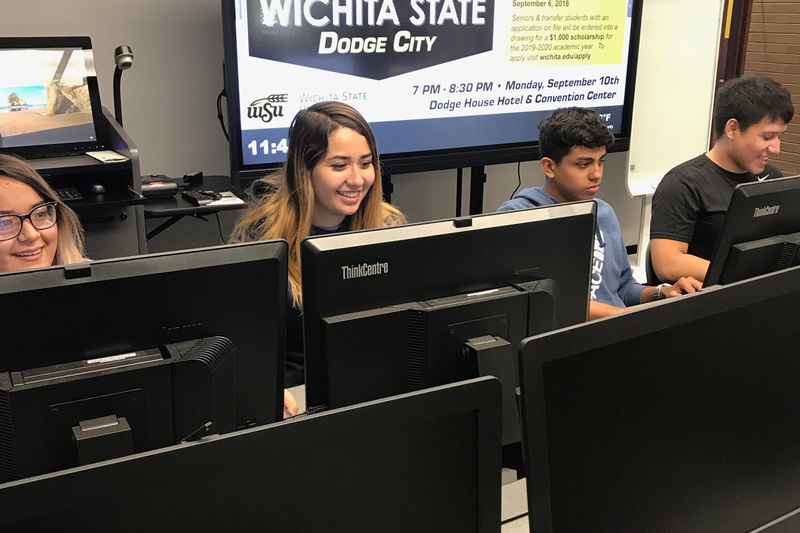 Jonathan Gonzales admits that as a freshman he arrived on the Dodge City Community College campus with a good idea of where he wanted to end up, but with little direction and entirely uncertain if he was on the right path. Helping students discover the right path, maintain momentum, and ultimately arrive at their goals is the objective of the Connection Center – a nexus of career and transfer resources slipped into the west side of the Learning Resource Center on the DC3 campus. 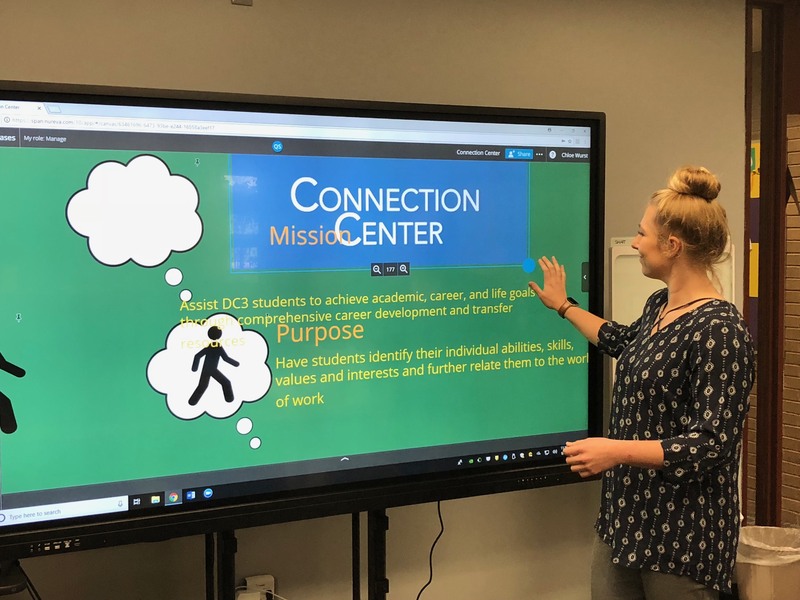 Thanks to various exploration assessments, students do not need a specific career or education goal prior to visiting the Connection Center. Staff can help a student formulate a potential career direction and provide access to the resources to help them get on their way. Jonathan, like many students often are, was simply unaware that there are easily accessible resources available at the Connection Center – and a dedicated staff to point them out. In addition to career and transfer guidance, Jonathan attends Student Success Workshops which the Connection Center conducts jointly with the Student Achievement and Resource Center to help students’ academic performance. The workshops engage students holistically – delivering advice on stress management and financial awareness to complement topics like test-taking strategies, research-paper formatting and critical reading methods. Some of the workshops allow students to identify their primary learning style and how to incorporate that style into better study habits. Wurst said that assessing learning styles allows students to be engaged with subject material in a relevant way – leading to retention and ultimately transfer and career success. “That’s a huge concept that I continuously emphasize,” Wurst said. “A lot of them learned material in high school, but don’t really understand how they came to learn those things. Understanding how they learn helps them utilize their strengths and address weaknesses – allowing them to build effective habits. Workshops encourage active research of academic and career interests, increasing overall physical and emotional health, improving social engagement, and building personal and professional communications skills. “The workshops cover really helpful topics and sometimes things that you don’t realize you don’t know, or things you don’t really think about,” Jonathan said. 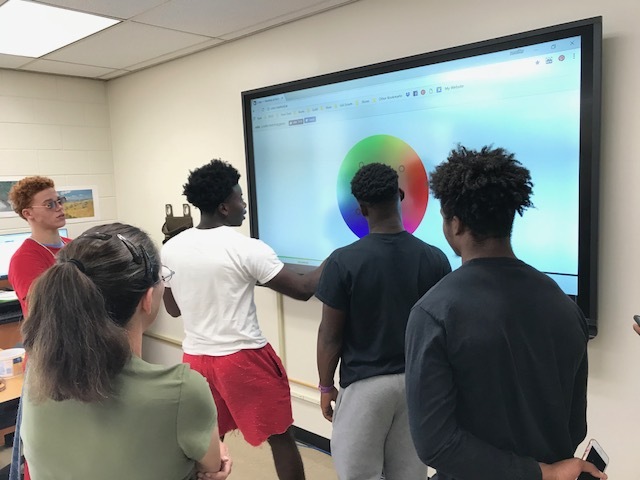 The Title V initiative funds Connection Center activities, and one impetus of the federal program is to create more accessible learning environment by improving technology in the minority learning environment. Schuyler Callahan, Title V virtual systems specials for DC3, and Connection Center staff have researched and implemented several hardware and software advances to the DC3 campus. Advances like the Promethean interactive touch boards used in numerous classrooms and the Span Workspace software that allows students and instructors to collaboratively access and interact with things like notes, presentations, and class lessons in real time from any device, directly impact educational delivery to students. Wurst said much of the Connection Center’s push this year is engaging faculty advisors who have the sometimes overwhelming task to deliver instruction on a daily basis, but also help students through transfer and academic program processes. Jonathan visited the Connection Center at least once every couple of weeks as staff helped him progress through transfer procedures and what is often a complicated scholarship application process. His academic dedication and assistance from the Connection Center eventually helped Jonathan land a $2,000 scholarship from the O’Brate Foundation. Jonathan recently received an acceptance letter from his first choice – Washburn University. He plans to transfer for the spring semester and begin upper-level criminal justice coursework. At the outset of a new academic adventure, Jonathan says he’s now far better prepared than prior to his experience with the Connection Center and the workshops.